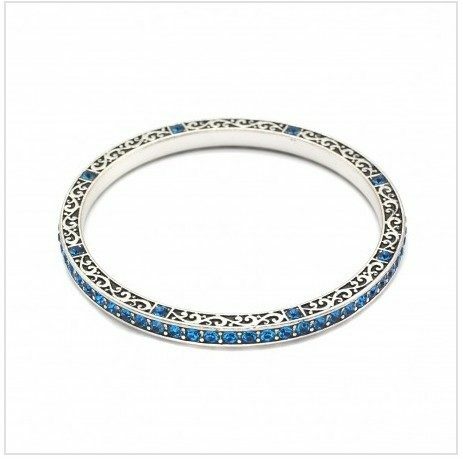 Blue Sapphire Tribal Bracelet As Low As FREE (Just Pay $2 Shipping)! You are here: Home / Expired / Blue Sapphire Tribal Bracelet As Low As FREE (Just Pay $2 Shipping)! Hurry and snag this GORGEOUS Blue Sapphire Tribal Bracelet for as little as FREE (just pay $2 to have it shipped)!! Talk about a frugal gift idea! These are on sale for as little as $5 for current customers (down from $30! ), however, if you’re new, you can sign up at this link and share EOR with your friends and you’ll get a FREE $5 credit to use on anything on the site, which will make these FREE plus $2 shipping! If you are not new, these are $7 total shipped! Still a fab deal! First time I see your blog. Love it.